Founder and President, MauroNewMedia, Inc.
At the IDSA Awards during the IDSA International Design Conference 2017 in Atlanta, Charles L. Mauro CHFP, IDSA, was named the recipient of the IDSA Personal Recognition Award 2017. The co-chair of IDSA’s Design Protection Special Interest Section has more than 47 years of experience in a wide range of industrial design and human factors engineering applications including consumer, commercial, military and aerospace. He holds a BS in product design from Art Center College of Design and a master’s degree in ergonomics from New York University, where he served as a National Institute for Occupational Safety and Health research fellow at the Rusk Institute of Rehabilitation Medicine. Mauro is a Certified Human Factors Engineering Professional (CHFP/BCPE). He has received grants and fellowships from NIOSH, Ford Foundation and National Endowment for the Arts (NEA). Since 1975, he has served as president of MauroNewMedia / Mauro Usability Science, a leading provider of industrial design, usability engineering and high performance, user interface design consulting services. His clients include Apple, Nike, Dyson, Goldman Sachs, New York Stock Exchange, Citibank, Department of Defense, NASA and others. During the 1970s, Mauro worked with product design pioneers Henry Dreyfuss, FIDSA, and Raymond Loewy, FIDSA. During Détente, Mauro managed one of the first product design programs undertaken by a US design firm for the Soviet Ministry of Science and Technology. He has been responsible for research and development of numerous, business-critical user interfaces including the design of primary trading systems used on the floor of the New York Stock Exchange. 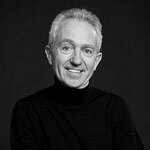 Starting in the 1970s, Mauro formalized the use of several science-based design research methodologies that have become industry-standard including: eye-tracking, lab-based usability testing, electromyography, 3D spatial tracking and advanced neurological testing focusing on emotional and physiological measurement of product design. Mauro has testified as an expert witness on industrial design and GUI design in more than 75 major patent cases representing high technology companies. He co-wrote two major amicus briefs for the federal circuit and the US Supreme Court related to the Apple v Samsung case that were widely disseminated to the IDSA membership and to a global network of design professionals. His amicus briefs were signed by 113 world-class design professionals including Dieter Rams, Calvin Klein, Norman Foster, Sir Terence Conran and the heads of automotive design studios and dozens of other design-conscious corporations. Mauro has been the primary IDSA liaison with law schools, law societies and the USPTO. He has spoken numerous times at USPTO Design Day and at legal conferences on the topic of design IP. He has received numerous awards including the Alexander C. Williams Award from the Human Factors and Ergonomics Society (HFES), NASA and the Association for Computing Machinery. He also received the Stanley Caplan Award for User-Centered Design. Mauro also served on the Presidential Design Awards Program for the NEA and was a founding member of the HFES Special Interest Group on Consumer Products. Mauro is quoted in Fortune, The New York Times, Businessweek, The Wall Street Journal and Science and lectured at Massachusetts Institute of Technology’s Sloan School of Management, Stanford University, University of Pennsylvania and other design programs, engineering departments, MBA programs and law schools.